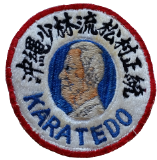 Dedicated to the preservation of Grand Master Hohan Soken and Grand Master Fusei Kise’s Karate-Do. 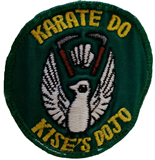 The ISMSKF is also dedicated to keeping the “Seito” in Shorinryu Matsumura Seito Karate-do. The ISMSKF is dedicated to keeping Master Kise and Mas ter Soken’s karate-do as close to what they taught. The ISMSKF knows karate is always changing and is not the karate that was taught hundreds of years ago and in fact probably not what was taught one hundred or even 50 years ago. With the advent of video we are now able to preserve what is being taught today and have the ability to pass it on, so that hundreds of years from now Shorinryu Matsumura Seito Karate-do may remain pure as humanly possible. This is not to say some of it couldn’t be modified to be better, but every time we think we have a better way to do a technique… we have been shown just why the original way is better. With all the karate, kobudo and tuite techniques, katas, bunki, one steps and basics, it is a life long journey to learn and perfect what we have and are being taught.